Today’s post could alternatively be titled “Selfie Overload!” So…I’m sorry in advance for that! 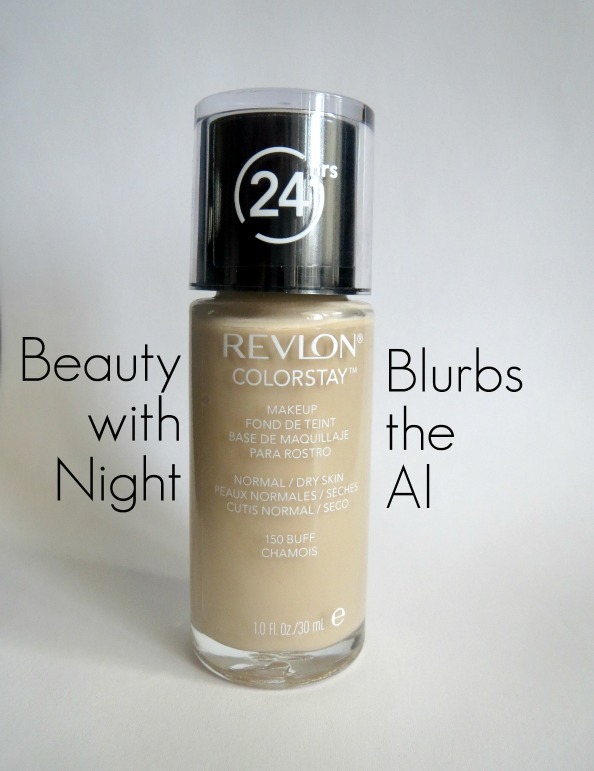 I am reviewing Revlon Colorstay Makeup for Normal/Dry Skin and wearing the color “Buff,” which is the next to lightest shade. I have repurchased this foundation multiple times and continue to love it! This foundation claims to provide “longwearing coverage with a lightweight formula that won’t cake, fade, or rub off.” I must agree! Don’t let the term ‘lightweight’ make you think it doesn’t offer great coverage! With a light layer, I am able to even out my skin tone and cover minor blemishes easily. I have worn this foundation with and without a primer, and it stays on for HOURS each time. On the bottle, it says it can be worn for up to 24 hours, but the maximum amount of time I’ve worn it is around 14 hours. The normal/dry skin formula controls the shine even on my oily areas really well. If I ever have any issues I do a quick swipe with an oil-absorbing sheet, and I’m good to go! This foundation works for me from day-to-night and light-to-heavy makeup applications. There is a Combination/Oily skin formula I have tried when my skin gets more oily, and it works great as well! With 20 shades, this foundation covers a pretty wide range of skin tones. 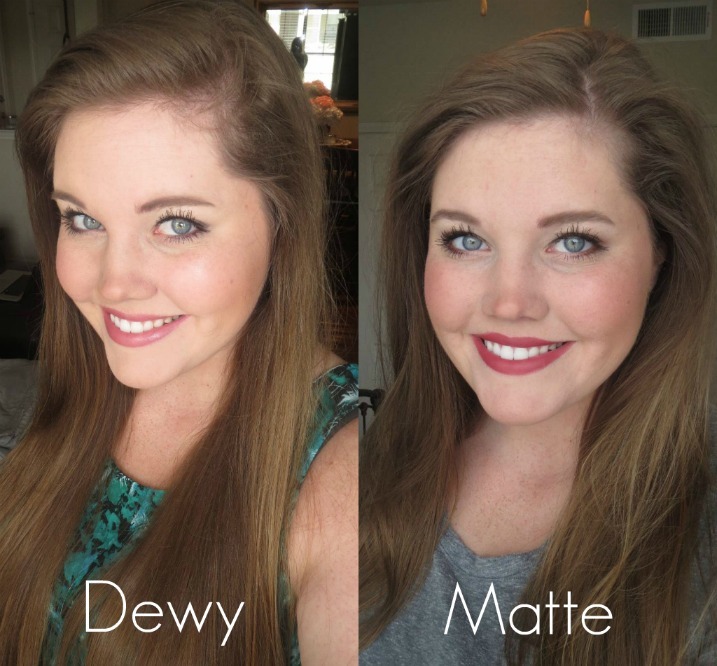 Another positive aspect of Revlon Colorstay Makeup is that I’ve been able to achieve both dewy and matte looks with it! 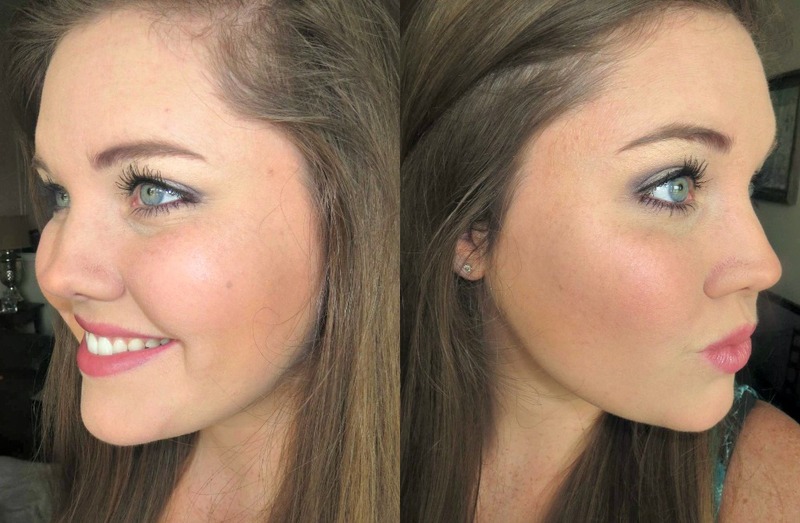 On the left in the photo above, I used a blush with more shimmer (MAC Peachykeen) and a lighter application. On the right, I used a finishing powder (e.l.f. 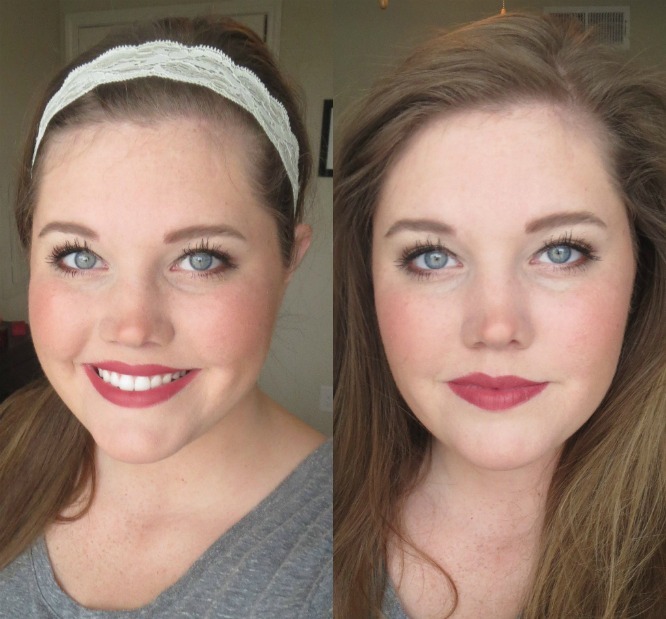 High Definition Powder), matte blush (MAC Pink Swoon), and heavier application. 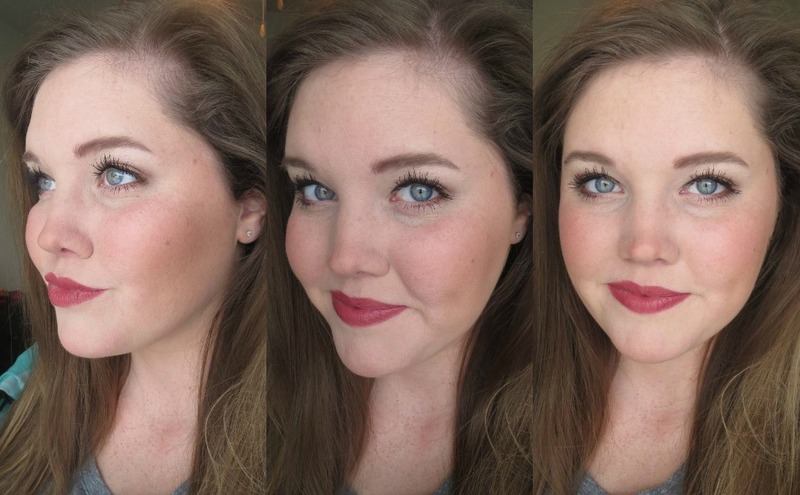 With simple variations, this foundation can provide quite a range of looks and satisfy several styles. If it’s not obvious yet, I’m a huge fan of this foundation, and that has almost nothing to do with the fact that it’s only about $10! If you’re looking for a great, new foundation (that just happens to be inexpensive! ), definitely try out Revlon Colorstay Makeup! This looks fantastic, but I must know the lip color you are wearing! Thanks – I’m on my way to get it!